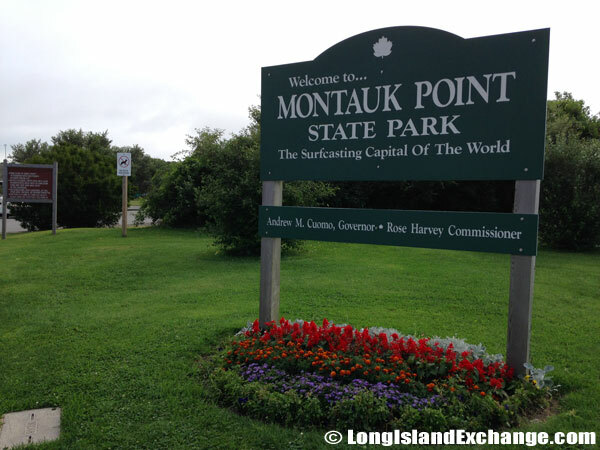 The Montauk Point State Park is located in the village of Montauk, New York in Suffolk County, at the eastern tip of Long Island, New York. 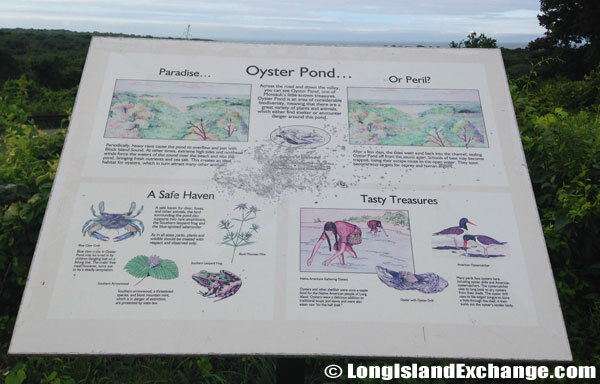 It is 132 miles from Manhattan, via Sunrise Highway (Route 27) east to the Park. 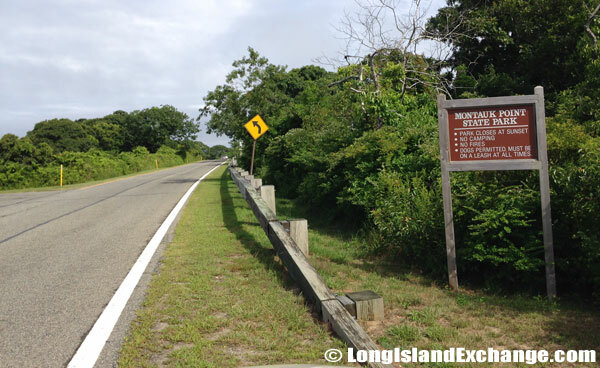 Following the long quite road, a sign welcomes visitors to Montauk Point State Park ahead. Park closes at sunset, no fires, no camping, dogs permitted on leash. 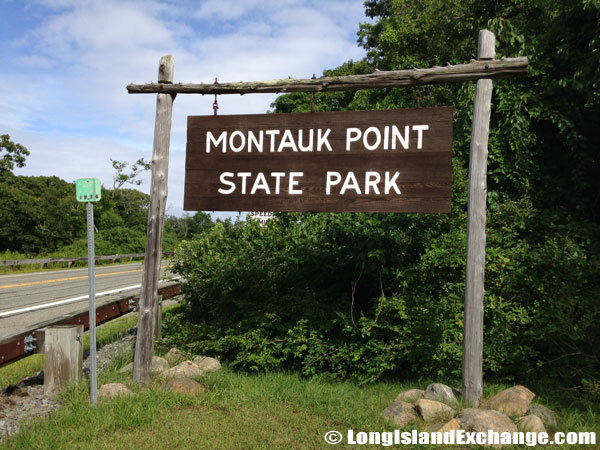 Montauk Point State Park, the Surfcasting Capital of the World. 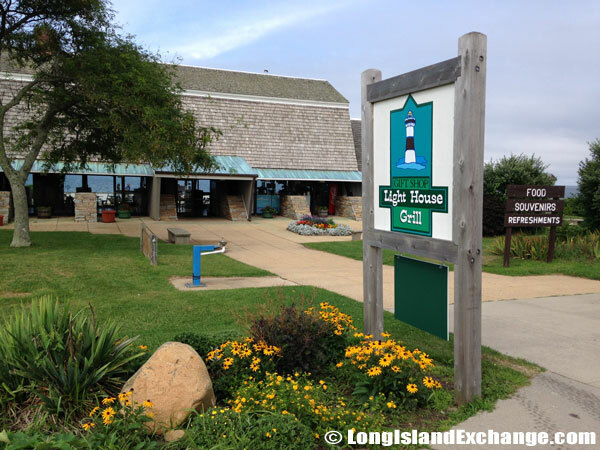 The Light House Grill just outside of the parking lot offers food, souvenirs and refreshments. Entrance Fee: $8 per car from May 25-Sept. 2, weekends/holidays Sept. 7-Oct. 14. 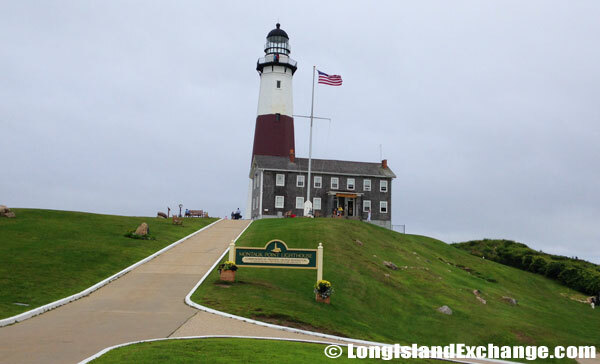 On 724 acres at the eastern end of the Island, Montauk Point offers bracing breezes and sterling vistas in the shadow of Montauk’s lighthouse. 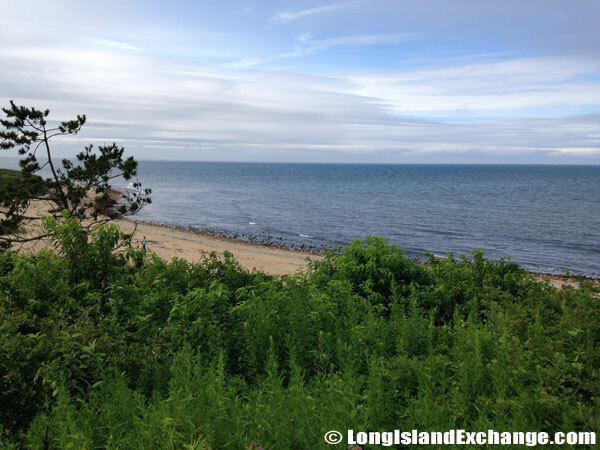 Overview: The Montauk Point State Park has features of exceptional quality. It is one of the top wild reserves of the State, but calls for some skill and experience for its attractions to be appreciated and enjoyed in full measure. 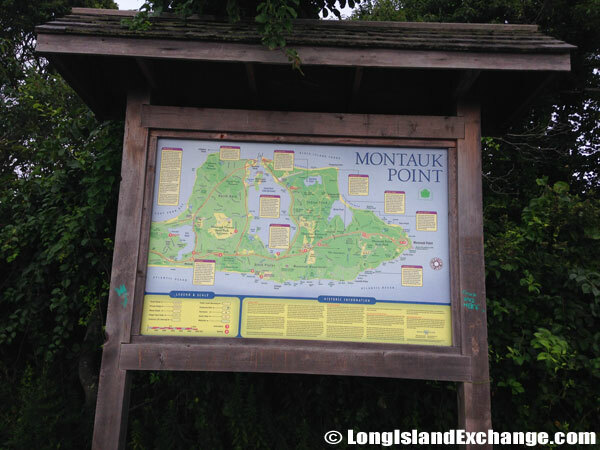 The Montauk Point State Park has stretches thick with trees, which is not uncommon for Long Island. However it also has an attractive population of mosses and lichens that hold many secrets yet to be uncovered in full. The sporting merely ski over these strange carpets or roam across it in search of game to hunt, but serious naturalists may spend lifetimes studying the primordial species that one normally associates with higher latitudes and altitudes as well. 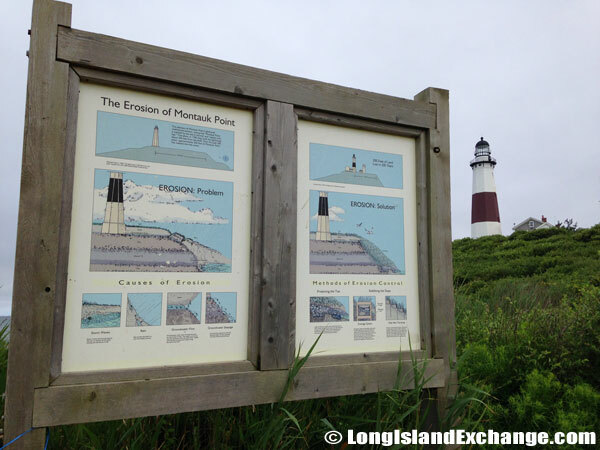 The park also contains the historic Montauk Lighthouse that offers some of the best surf fishing in the world. It is known as the oldest lighthouse in New York State. 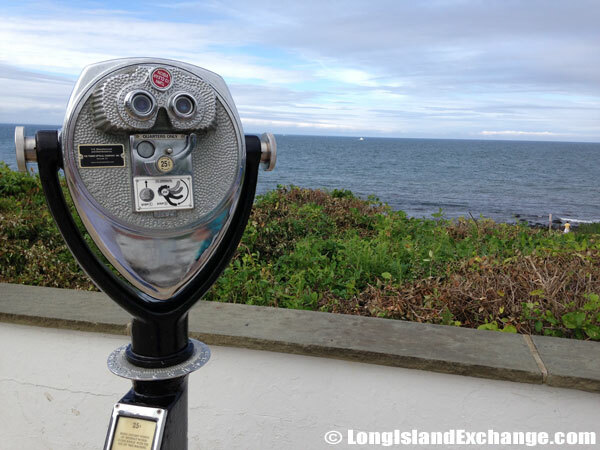 The view is unique, because, when the water is calm, visitors can clearly see Connecticut, Rhode Island, and Block Island from the Atlantic. They can also use the nature trails to hike or cross-country ski, or spend time watching the seals sun on the rocks offshore. 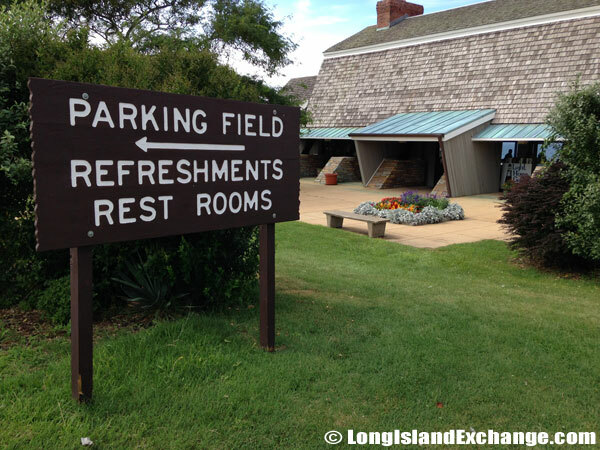 Parking field and rest rooms nearby. 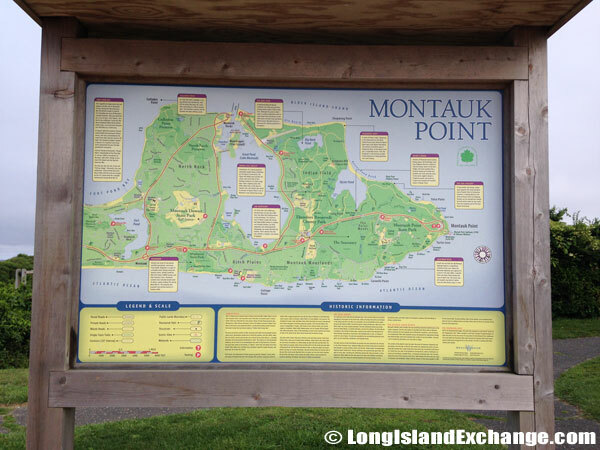 A map of Montauk Point State Park. 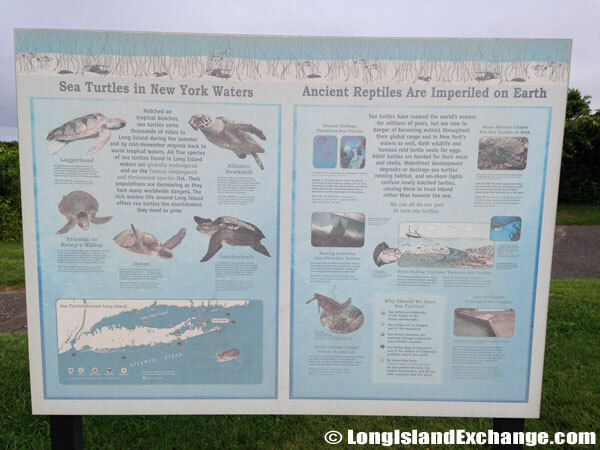 A sign details the types of reptiles nearby. 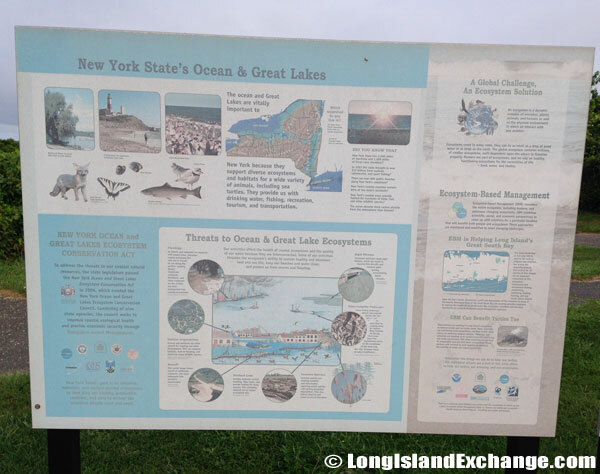 New York States oceans and great lakes. With a quarter, visitors can focus in on an already spectacular view. The Atlantic Ocean map, you are here. 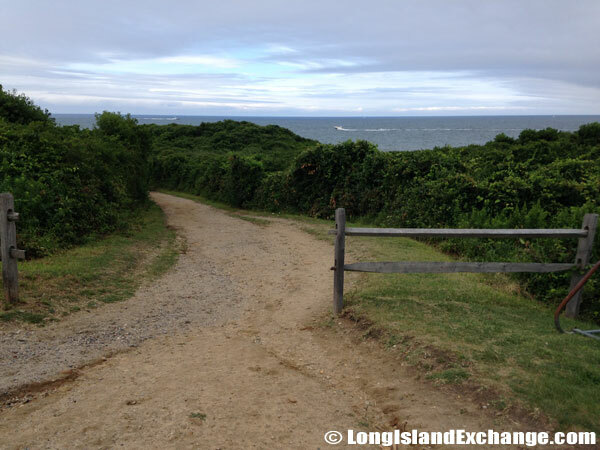 Looking out to the beaches at Montauk Point State Park. 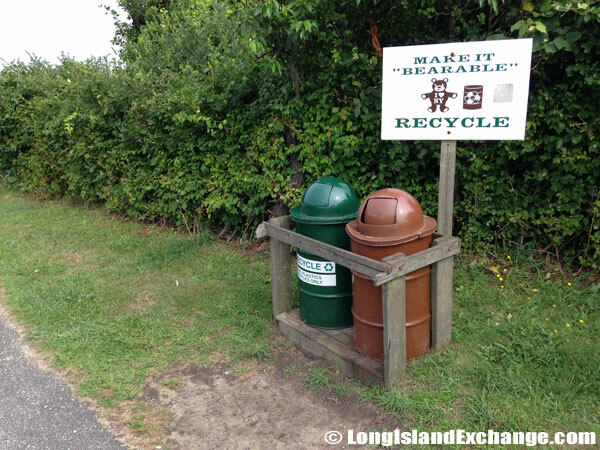 Recycle and make it bearable. History: In 1900, Montauk received its brown band midway up the white tower, and in 1903 the first-order lens was replaced with a 3.5 order bivalve “clamshell” lens. During World War II the Coast Guard Artillery Firetower was added to the site as part of the East Coast Defense Shield. In 1987 the bivalve lens was replaced with a revolving airport beacon. 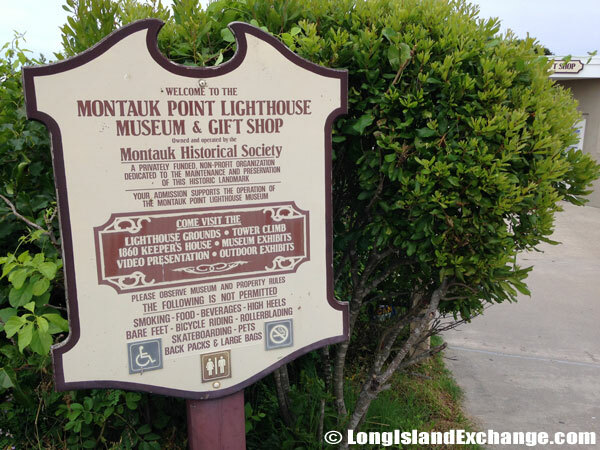 On the other hand, the construction of the historic Montauk Lighthouse was begun on June 7, 1796 and was completed on November 5, 1796. A trail leads down to the beach and rocks below the lighthouse. A sign details information about the museum. 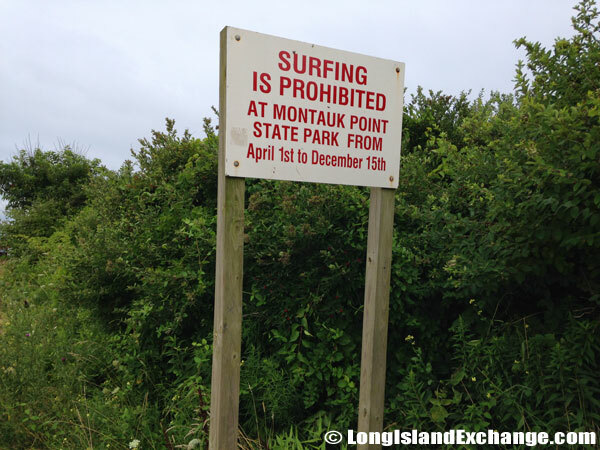 Surfing is permitted only outside of April 1st to December 15th. 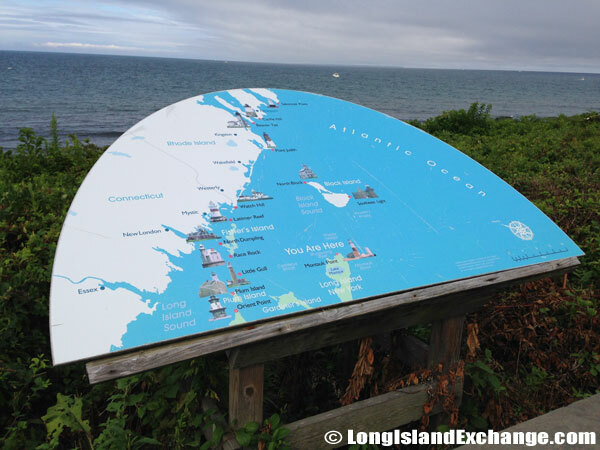 A sign educated visitors on erosion at Montauk Point State Park. Seasons/Hours: Park is open year round, sunrise to sunset. Big game and small game hunting are permitted in season. Pets: Dogs only. Access is certain parks only, on a leash not more than 6 feet. Not allowed in camping, bathing and picnic areas. Not allowed in buildings or on walkways. Events: Montauk Surf Classic Sept. 22-24. 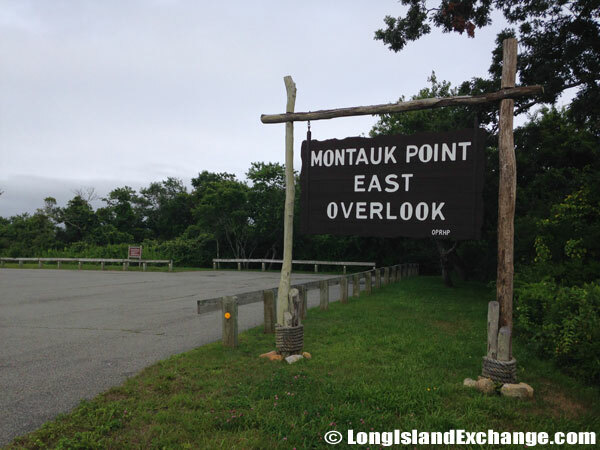 The east overlook is just outside the exit of Montauk Point State Park only a minuet down the road. Montauk Point State Park Lighthouse. For more pictures specifically of the Lighthouse visit the Lighthouse Page.